The Asheville Planning & Zoning Commission gave its approval of a new 103-room Residence Inn hotel on Biltmore Avenue during its meeting Wednesday. The Residence Inn, a Marriott hotel, is an upscale, extended-stay hotel aimed at business travelers staying for a week or more, hotelier Pratik Bhakta told the commission. Its location at the intersection of Biltmore Avenue and White Fawn Drive will enliven a drab section of Biltmore Avenue, Bhatka said. The vacant lot at 324 Biltmore Ave. sits across the street from a long-closed car dealership. 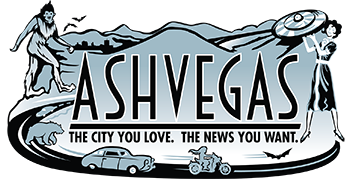 The proposed hotel’s location between Asheville’s central business district and the Mission Hospital complex further south will fill a need, he said. By way of introduction, Bhatka told the commission that his family emigrated from India in 1978 and moved to Candler, where his father bought a small hotel and got started in the hospitality industry. He told the commission that he’s a graduate of Enka High School, and that his children now attend the same high school. Bhatka also reminded the commission that he is a member of the Buncombe County Board of Adjustment. Two residents of the nearby Oakhurst neighborhood who spoke during the public comment section of the meeting. One said the height of the new hotel would obliterate his mountain views, and he suggested the hotel move a balcony to the end of the building furthest from his house. The other resident said developers have been receptive to neighbors concerns. He suggested the hotel add a street-level restaurant. Chad Rich, the owner of a nearby business, said he was “super-excited” to have a hotel built. With little comment, the commission voted unanimously to give its blessing to the project. The commission members present were: Chairwoman Laura Hudson, Vice Chairman Tony Hauser, Guillermo Rodriguez, Karl Koon, Joe Archibald and James Edmonds. Commission member Sandra Kilgore was absent. The project moves on to Asheville City Council for final approval. A problem with a parking deck at a new downtown Asheville apartment complex consumed much of the Planning & Zoning Commission’s time last Wednesday, and threatens the permanent opening of the complex. The Patton apartments recently opened at the corner of Clingman and Patton avenues on the west end of Patton Avenue. The development by Charlotte-based developers Delray Ventures, consisting of 116 apartments and an accompanying parking deck, is the first major new construction project on that end of Patton Avenue in years, and it comes at an intersection that serves as a major gateway into downtown. Officials realized that the deck, made of pre-cast concrete, wasn’t tall enough to allow a handicapped accessible van to enter and park. Under city development rules and federal Americans with Disabilities Act rules, the apartment complex must have one such parking space. A deck must have a clearance of at least 8 feet, 2 inches to accommodate the taller vans. The Patton’s deck was built with a clearance of 7 feet. Project architect Mark Ward told the commission that the problem wasn’t discovered until after the completion of the parking deck. Ward was before the Planning & Zoning Commission seeking a variance and brought forward a solution: a single parking space on the Pearl Street side of the building carved out of what had been planned to be an apartment space. Why a variance? Because the new parking space would require a vehicle to back directly out onto a city street, and city rules prevent that. Here’s the rub: if The Patton doesn’t provide the handicapped accessible van parking space, it can’t be granted a final certificate of occupancy. The Patton has already opened under a temporary certificate of occupancy, and about 30 renters have moved in. Two other key points. First, a super-majority of the Planning & Zoning Commission must agree to any variance. On Wednesday that meant that five of the six commission members present would have to vote yes for the variance to pass. Second, the developer can’t come back if the commission votes no to the variance request. Ward told commission members that his solution was the best solution his team could find. He said the space met all city code requirements. Commission members weren’t impressed. “We’re struggling with this one,” Laura Hudson said. Following more discussion, commission members came up with a list of four conditions they asked the developer to meet before they granted a variance: install extra lighting for the parking space, which is enclosed on three sides; install a security camera trained on the parking spot; install a strobe that lights up to alert passersby that a vehicle is pulling out onto the street; and install a call button for someone to press in case of emergency. Developer Daniel Jimenez rose to address the commission, admitting to the error and offering background on The Patton, which he said included a $1.5 million sewer line relocation project paid for by Delray Ventures. Jimenez said he could agree to everything but the call box, something he had questions about and was unable to answer on the spot. Finally, it appeared that the commission was ready to vote. Commissioner Tony Hauser made it clear he was planning to vote against the variance, and Commissioner Guillermo Rodriguez appeared to be leaning toward a no vote. With Jimenez reluctant to agree to all the conditions the commission sought, all key players agreed to table a decision until the Planning & Zoning Commission’s November meeting. I thought residence inn was already on Biltmore? Why is the project developer taking the blame for this. It is the responsibility of the Architect of Record to design a facility that meets all current state, local, and federal codes. Architects also carry “errors and omission” insurance which should be called on to fix this debacle. Thank you for your coverage of our proposed project. Just a correction, its Pratik Bhakta, not Bhatka. I apologize for the error. I’ve made the correction!